The Bietigheim Steelers have the majority of the team for the new season in the DEL 2 already together. The most prominent additions are the two German-Canadians Jason Pinizzotto and Dominic Auger and keeper Sinisa Martinovic. 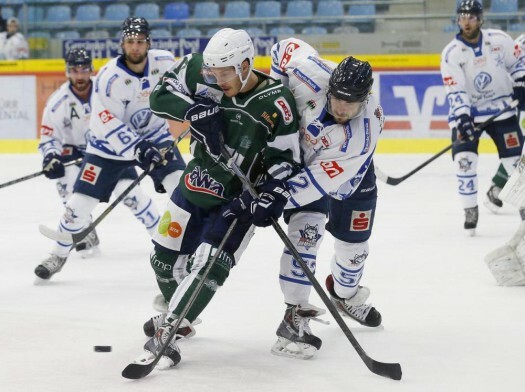 The German-Canadian Jason Pinizzotto is so far the most high-profile signing of Bietigheim Steelers for the new season in the DEL 2 The 34-year-old striker was in the last round of the jersey of the Red Devils Bad Nauheim. Sit up and take some of the signings made so far: Jason Pinizzotto comes from the EC Bad Nauheim and is a candidate for the first storm. The 34-year-old German-Canadians is considered a close friend of teammate David Wrigley, who is also the godfather of Pinizzottos daughter. In its stations Bremerhaven, Dusseldorf, Hamburg, Schwenningen and last Bad Nauheim, the attacker plenty of DEL and DEL-2 experience gained.